In the simplest term hydrology can be outlined as the study of water. Hydrology is the analysis of scientific laws, properties and distribution of water. In environmental measurement term it can be referred as the physical flow of a body of water comprising the level and flow of water with other activating processes. Utmost applications of hydrology implicate the systems of surface water like rivers, channels, tidewater etc. It is an extensive study of groundwater, its circulation and progression through time and territory, on the basis of regional geology. Hydrology generally apprehended as the flow of water can impact the environment because of amendments in quality and quantity of water. These variations and changes can be man-made, natural or amalgamation of both the factors. The data based on hydrology supports in demonstrating the quality of water and changes in environment. It can further be understood as the scrutiny of water cycle which explains the evaporation of water from the sea, land and how it rebounds and recovers to the surface of earth in the form of rainstorm, how water flows through rivers and met to seas and oceans. Hydrologists examines the interaction of water with earth’s crust, they apply logical and mathematical principles to elucidate the complications related to water in the environment and analyses the quality, availability of water. The duties and responsibilities of hydrologists are concerned with discovering the water supplies, they may also lend their support in preserving the resources of water, preventing water pollution, finding the safest locations for disposal of water. They also interpret the data related to hydrology and determining available supply of water. Scientists and hydrology engineers comprise in both field and official work. The duties of hydrologists are as diverse as the uses and utilization of water. Chemical Hydrology – This branch of hydrology emphasizes on the chemical innate of water. It inspects the effect of water when it is amalgamated with other material above and under the surface of earth. The chemical hydrology comprises the study of mechanism through which salts are conveyed by aspects and processes like evaporation. Ecohydrology – It is the study of ecological actions in the hydrologic cycle. Ecohydrology scrutinizes the interaction between hydrological cycles and organisms. Hydrogeology – It is also known as geohydrology which studies the existence and flow of ground water. Hydroinformatics – It is the adoption of information technology to applications of water resources and hydrology. 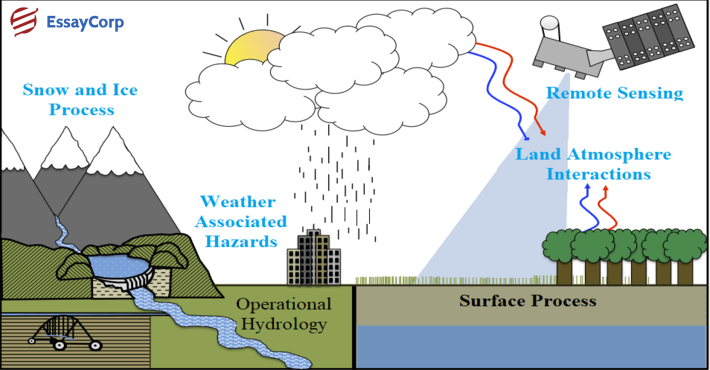 Hydrometeorology –This branch of hydrology focuses on the relegation of water and intensity between ground and water body streches and the curtailed atmosphere. Isotope Hydrology – It mainly focuses on the age and origin of water. Surface Water Hydrology – This branch of hydrology deals in the study of hydrologic techniques that serves near the surface of earth. Ground Water Hydrology – It is the analysis of underground water. Drainage Basin Management – It focuses on water stash in the form of stockpile etc. Water Quality – It is the amplification of water condition. It comprises the chemistry of water in streams and lakes etc. As the name suggests surface water is the form of water which can easily be found in resources like river, lakes, streams etc. The surface water is generally not rich in contents like mineral. It is generally known as soft water. Surface water is open to several impurities and toxins such as wastes of animals, industrial wastes, pesticides and many other wastes. It is a form of collective fresh water on ground which flows down due to influence of gravity. Groundwater is the cumulative water that endures in porous rock constitution or unconsolidated trash Groundwater is a significant section of the water cycle. That is why the groundwater is generally used for water supply to public. Contaminated ground water is less visible, but more insidious and difficult to clean up, than pollution in rivers and lakes. Ground water pollution most often results from improper disposal of wastes on land. There is an immense hike in the opportunities related to the careers in hydrology. Students who desire to be hydrologists must have strong and sound knowledge of statistics, mathematics, physics, geology, environmental science, environmental law and computer science etc. Careers in hydrology provide various interesting challenges and growth. 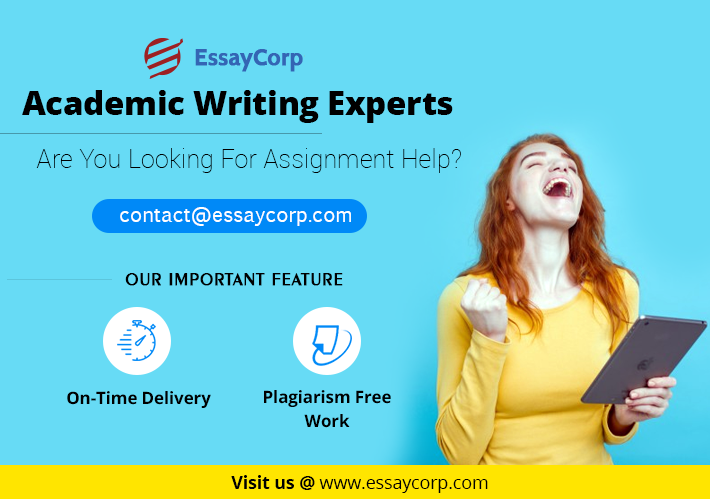 EssayCorp is an embossed brand name in the field of assignment help providers. We are a team of professionals who provide the finest quality of assignments to the students worldwide. Our services are popular among the students of various universities.